This is my way to combine a bunch of different things in one little blog. It has been a while since I’ve done an Anything style column. I’ve had plenty to say, but lately, I’ve been doing stuff. Some of it I’m going to talk about very very briefly here, right before I complete the challenge that is titled above. 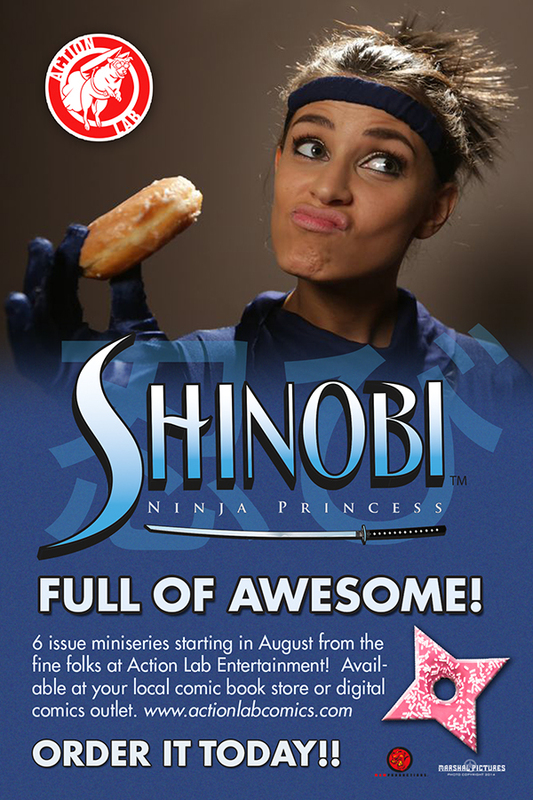 First off, Paradigm issue one is nearly finished. 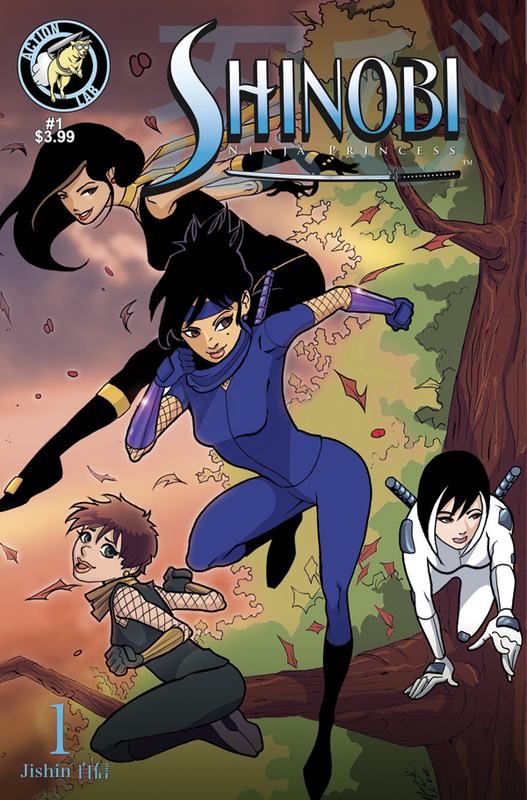 Page 23 is currently out at http://paradigmcomic.wordpress.com. We are exactly one page away from the finale courtesy of Twyla April, James Reddington and myself. It’s kind of neat to see the start of your vision start to play off. Stay tuned next week for updates for where Paradigm will go from here. The Watcher is available everywhere. Check out my Watcher page for where and how to purchase it. I’m happy to say it’s starting get some reviews on Amazon. I’m hoping others join in. I really, really want this book into as many hands as possible. Wow. One hundred posts on this blog. A lot has happened. I got a book deal, I’ve done a ton of interviews on this blog, and have met a ton of interesting people. I want to take the opportunity to thank everyone that’s been a part of the blog to date, and I look forward to the next hundred blogs or so. I think it’s time to give this baby a facelift. Stay tuned in the coming weeks. So to celebrate one hundred posts, I’m going to take the opportunity to talk about the books that have influenced. Sarah Hollings passed this challenge along to me, and it got me thinking: What are the books that influenced me, novel or graphic novel? Without further ado, here are my ten. I hope you are surprised. 10. The Bible – I’d be less than honest if I didn’t mention this book. The bible is without a doubt, the book behind all books. For me personally, It’s been the book that has taught me the most. In particular, the books of Ecclesiastes, Matthew, Mark, Luke and John, and Acts. It’s the only book I know that writes its own words into you in some form or another. The book is worth a read, regardless of what you believe. 9. The Pilgrim’s Progress by John Bunyan – This book is both comic and novel for me, as both impacted me. I first read the comic book back in the day. The comic captured me. It was a very fantastic world and the whole journey just grabbed me. Christian and Christiana’s progress felt very similar to my own walk. I try my best, and sometimes I succeed and sometimes I need work. The best thing about this is they both fall too. Still a favorite. 8. Rhyme of the Ancient Mariner by Samuel Taylor Coleridge – It’s the first epic poem that I read. It still impacts me and it’s what I measure my own work up against. (I still got a long way to go.) My english teacher introduced this story to me and I was addicted. Good poetry – it will not be the last one on the list. 7. Foundation by Isaac Asimov – Asimov was my very first full fledged science fiction writer. I just loved how he wrote. He was able to take advance scientific ideas and concepts and break them down into ways anyone can understand simply and elegantly. I loved the concept of Foundation and still think it’s one of the best I read. Asimov was the man in science fiction, bar none. 6. Tarzan/John Carter of Mars by Edgar Rice Burroughs – I love Edgar Rice Burroughs. He wrote many fine imaginative adventures, but these two are the ones that grabbed my attention the most as a kid. Edgar Rice Burroughs embodies imagination and I spent many an hour reading about Mars, green men, and the savage jungles of Tarzan. Of the two, Tarzan is still my favorite, but I love both, and their influences are very clear in the Watcher. 5. The Martian Chronicles by Ray Bradbury – Ray makes this list twice. This in particular stands out because I still remember when I bought this book. My dad bought it for me. He was trying to find something to start me into science fiction and fantasy and this was my first book. This is still my own personal benchmark for short stories. Ray Bradbury was the man. The Martian Chronicles had a ton of good stories. I wish I still owned this book. I may have to remedy that. But I think the greatest gift of all is that Ray Bradbury taught me to dream. Dreaming is just awesome. 4. Fahrenheit 451 by Ray Bradbury – Another Bradbury story. Fahrenheit 451 is the only story I have read to ever scare me. The idea of the giant tv screens eliminating empathy and humanity and books burning was my own personal nightmares. This book made me question the world and what kind of place we all live in. Nothing has come close to this. 3. The Wheel of Time Series by Robert Jordan – I could name one book, and while it’s true that Brandon Sanderson finished the last three by and large, Jordan’s hand is felt throughout. It just has a soft spot for me. This is my own personal Lord of the Rings and in my view the best epic fantasy produced. Now that it’s done, I suggest you read it. It’s very entertaining. 2. Green Lantern – I haven’t mentioned any comics yet, and I decided that my last two should be the comics that inspired me. Green Lantern as a concept is simple: Man inherits a power ring that can do anything. Whether it was Hal Jordan, Kyle Rayner, John Stewart or Guy Gardner, Green Lantern was about overcoming fear. They are still my favorite stories. 1. Starchild by James A. Owen – I really don’t know where James and I stand these days, but I will never forget picking up the first trade paperback of Starchild in the mid nineties and was hooked. 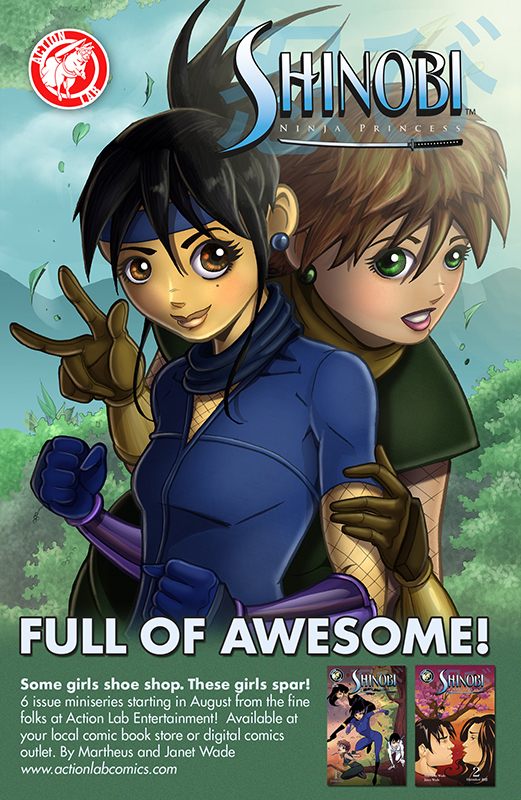 It was the first independent comic I’ve ever purchased that made me think that someday I could do my own comics. Fast forward about ten years later and I actually get a chance to work for one of my heroes. It didn’t end well, but I enjoyed the time I had. That’s a pretty amazing journey up there. There are a lot of books I didn’t mention here that could make this list. Still, I think this is a good list to dwell on. Time to pass this on to some cool people. Rae Hope Pantalleresco, Sarah Hollings, Rob “the wizard” Osborne, Dirk Manning, Andrea Card, Martheus Wade, Tommy Hancock, Justine Alley Dowsett, Kristen Denbow and Florence Chan. Thanks for all that have read these past ninety-nine blogs. I hope you enjoy the next one hundred. It’s hard to believe Ksenia has only written full time a year. She has come a long way. 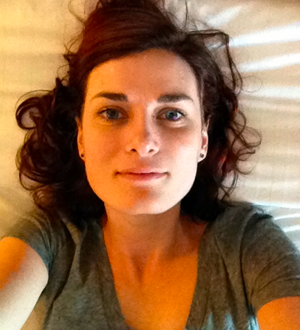 I introduced Ksenia Anske not too long ago in an interview entitled The Amazing Ksenia Anske. Afterwards, I purchased All three books of the Siren Suicides Trilogy and started reading. 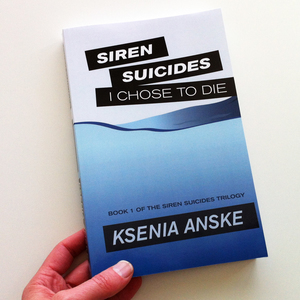 I Choose To Die is the first book of the Siren Suicides Trilogy. 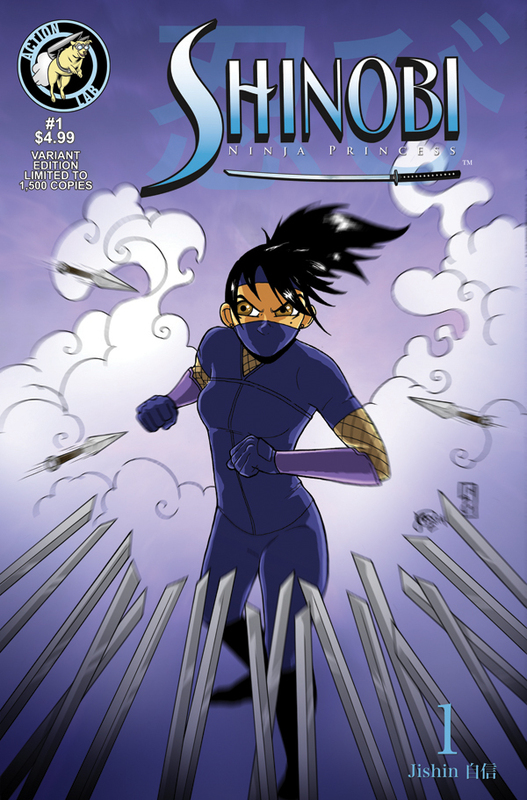 Ailen, tired of the constant abuse from her father, decides to end it all and join the clan of sirens. What she doesn’t know is that suicide was just the beginning. Her father makes a living hunting the sirens, and Ailen finds that her problems don’t end with the sirens…they are just beginning. While there were a few small writing issues at the beginnings, you can easily see how Ksenia grew as a writing writing this book. The book becomes a smoother and simpler read as time goes on. You can tell Ksenia learned a lot writing this book. I highly recommend it. The book deals with the subjects of suicide and depression in a very real way, but there is also elements of urban fantasy in the book as well. Fans of the genre should take a look. That was book one. Ksenia has written many books in the year. 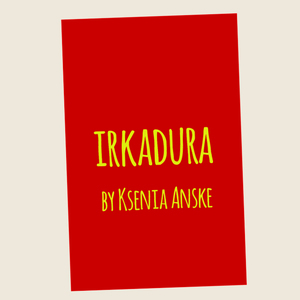 I caught up with her as she finished her fifth and most recent novel, Irkadura, I decided to chat with Ksenia about her most recent work, and what she has learned since her first. Joshua Pantalleresco: Congratulations on finishing your fifth novel. How do you feel right now? Ksenia Anske: I feel empty. I know I’m supposed to feel elated or accomplished or at least happy that I’m done with this book, but really I feel nothing. Maybe it’s the fatigue of writing for 7 months with barely a break, maybe something else. It’s like one of my limbs is missing. Cut off. Gone. JP: I want to compare Irkadura to I chose to Die, the first book of the Siren Suicides Trilogy. I really liked it by the way, but do you get that same feeling you did finishing this to when you finished the first book? KA: No, this is very different. When I was writing my 1st book, I didn’t really know what I was doing, I was blissfully ignorant, like a child that saddles a bicycle for the first time and kicks off and rolls down the street not knowing that any minute she will lose the balance and crash. When I finished IRKADURA, I was aware of the impact it might have on people, and that made me afraid. I do really hope I was able to craft the story that will touch without trying too hard, that will tell people what I really wanted to tell them. JP: Also, looking back now that you’ve done quite a few books, do you still like your first work? Do you nitpick at it more now? KA: I cringe at my first books, the whole trilogy. There is so much purple prose there that could be cut out, so many unnecessary details that distract the reader from the story. I was also trying too hard, you know, trying too hard ‘to write’, when I could simply tell the story as it unfolded. I have learned this lesson now. JP: Tell me me about Irkadura. What’s it about? KA: It’s about a 16 year old girl who lives in Moscow in the 1990s, at the time of political crisis in Soviet Union that eventually led to its disbandment. She grew up in a violent household. Her mother is an alcoholic, her mother’s boyfriend rapes her and one night he tries to sell her off to a friend. That finally makes her run. She escaped, but she can’t escape her head. To cope with the horrors of her life, she creates an alternate reality for herself, where she is a mouse and everyone else is some sort of a wild beast, a boar, a jackal, a woodpecker. There are hordes of them, ravens, horseflies, vultures, even talking Lenin statues. Eventually she has to choose between two realities. JP: Now that you’re finished, what’s next for you? KA: I’m taking a month off, and in this month I’m doing a ghostwriting project, and after that I’m starting on my next novel, CORNERS, about 4 kids discovering that every corner in the world that has a number can be turned like a page corner of a book. Only they don’t know which books those are, and then end up falling into them, into about 30 of them, and find their way home. JP: Corners sounds like a fantastic idea. Great concept for a kitchen sink kind of story. Good luck and have fun with it. JP: See OTHERLAND by Tad Williams as an example of a kitchen sink story. It’s his term. Kitchen Sink stories are usually stories that incorporate a lot of different types of stories in one. OTHERLAND was a virtual reality system that had many worlds in it. In book one alone he managed to reference John Carter of Mars, Alice in Wonderland, World War 1, Ancient Egypt and plethora of other stories, sagas etc. into one story. The nature of the story was that he could go into all those worlds as part of a larger tapestry. KA: Ohhh, fantastic. I didn’t know about this. Thank you! JP: What made IRKADURA so draining for you? There’s usually some sort of elation at some point that it’s done. How personal was putting together this book? KA: I had to go back into my past every day in order to write IRKADURA, and it’s very painful. I have had to deal with a lot of drama and uncertainty and suicidal thoughts and hate, and forcing myself to visit this place every day for 7 months was incredibly draining. It was cathartic, of course, but it left me empty. It is very personal, but then again, what book isn’t? Every book a writer writes is in one way or another based on her personal experiences. JP: I think every author cringes at their earliest works. Considering what you said about your first trilogy, would you go back and change the first three books at some point? KA: I am planning on editing SIREN SUICIDES down to one book and re-publishing it. For me the story is done, it’s over, so I won’t be able to change much except to clean it up and cut out elements that are slowing down the story, but I won’t be doing any changes to the story itself. It’s not mine anymore, it’s out there and it’s my readers. I can’t touch it now. JP: When will Irkadura be available to order? KA: I think November is when IRKADURA will be available to order. But you can pre-order it now here http://www.kseniaanske.com/books/irkadura and as soon as I have physical copies, I will sign them and ship them to you! JP: You’ve written about 5 books in a year. You’ve done the full time writing thing and have been very prolific. First off, congratulations. Second off, what has probably been the biggest lesson you’ve learned about doing this? KA: Trusting myself. When I started out writing, I was so afraid to do it somehow wrong, and so, instead of trusting my gut, I would either try to emulate someone else’s writing, or listen to advice, or plain doubt myself to no end. After having written and self-published 5 books, I see that whenever I tried to be someone else, my writing has suffered. And whenever I wrote the way I wanted to write, people liked it more. It gave me courage to continue. JP: How have you changed personally? You’ve written quite a few things that are deeply personal. Will your next works be lighter in tone? KA: Hardly. I will be probably writing both hard and light books for the rest of my life. My next novel, CORNERS, will be considered what you might call ‘light’, although it will still have dark elements. It’s a story about 4 kids who turn world’s corners like corners of book pages and end up jumping in and out of 30 books, getting lost and having to write their own book to get back home. It will be funny and appropriate for kids of all ages. The novel after that, JANNA, will be about a black woman serial killer who murders rapists, cuts off their penises and stuffs them in their mouths as her signature. Do I need to keep going? Not a light book. A book after that, MARQUIS (not sure about the title yet) will be about a dog that was born as a cat and who is shunned by other cats and finds a friend, a pigeon, who poops on people’s cars for therapy. So, see, light, dark, light. This seems to be my pattern. JP: I love your business strategy of giving books away. We’re in an interesting period about the whole writing industry and where it’s going. Where do you think publishing is headed towards? KA: Publishing is headed the same way music industry was headed at the time of Napster. Music became promotional material. People started paying for concerts and for t-shirts at those concerts, but downloaded music for free. Same with books. If you prevent readers from downloading something they want, they will find a way. Why spend time and energy to battle it? Make it easy for them. If they love your stuff, they will buy it. If not, they will tell about it to their friends who will buy it. By letting people read what you write for free you’re turning them into loyal fans. That’s what you want, not their money. People’s time is the most expensive commodity we have in this century. If you earn someone’s time, money will follow. JP: Are you going to be using anything like Kickstarter in the future, and if so, for what? KA: Yes, I will start a Patreon in the near future, as soon as I’m done with my ghostwriting project. So in about a month or so. KA: Quitting my career to write full time despite people telling me I’m crazy was the best decision I have made in my life. The end. I’m really looking forward to seeing what Ksenia writes in the next year, even if Janna makes me want to cringe just a tad at the concept. It’s amazing to see the progress after only one year. It will be interesting to see how the evolution continues next year. I really get a kick out Ksenia’s blog. Passion and energy and discovery are the themes of it, as she talks about writing and what she has learned. Read it at http://www.kseniaanske.com and make sure to buy a book or two while you’re there. 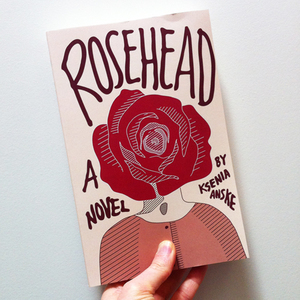 Her twitter handle is @kseniaanske and her amazon page is here: http://www.amazon.com/Ksenia-Anske/e/B00D3CSVTO. I want to thank Ksenia one last time. Hopefully I’ll get a chance to talk to her again in the future.